ChemDAQ’s Steri-Trac Sterilant Gas Monitoring System provides the optimal solution for workplace safety assurance, protecting personnel from serious health effects associated with exposure to sterilant gases. The Steri-Trac’s modular design makes it easy to custom configure an installation to meet the unique design requirements of each facility’s individual needs. Spot-On® ethylene oxide filter eliminates false alarms from common background interferents such as alcohols and carbon monoxide. Large tri-color LED display (Green, Yellow, and Red) supports user-adjustable high and low audible and visual alert settings. Wide range of options: Remote Display Repeater, Remote sensor module, Intrinsically Safe Applications… Unique Sensor Calibration/Exchange Program (SXP®) virtually eliminating systems maintenance. Interface Tri-Color, 4 digit, 1.25”, 5×8 Matrix LED. potentially explosive atmospheres, including: Class 1, Division 1, Group C & D and Class 1, Zone 1 settings. 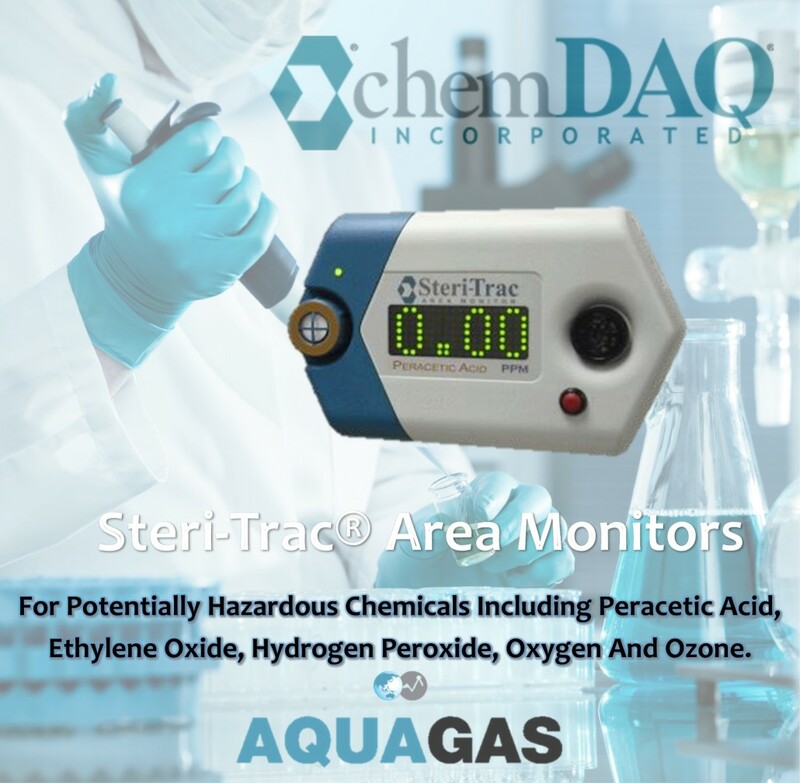 Steri-Trac® Area Monitors Offer Continuous Gas Monitoring For Potentially Hazardous Chemicals Including Peracetic Acid, Ethylene Oxide, Hydrogen Peroxide, Oxygen And Ozone.